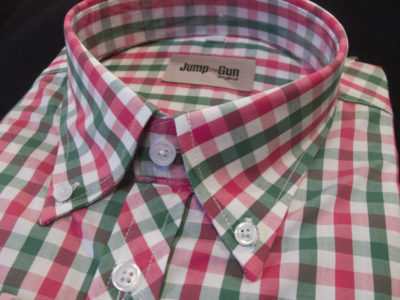 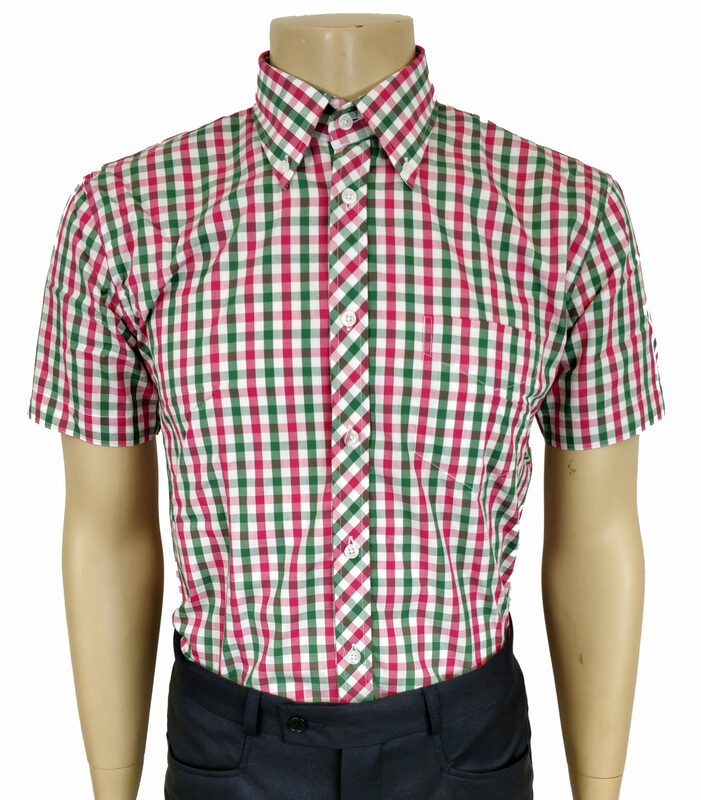 Great Green & Red gingham shirt. All the usual JTG features. 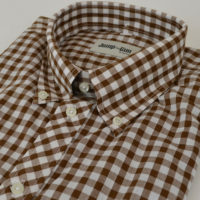 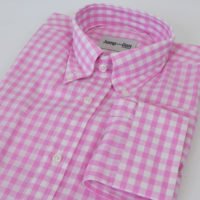 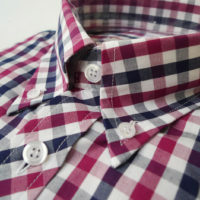 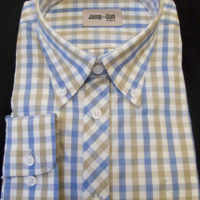 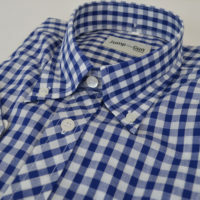 Slim fit button down back collar button sewn in box pleat and darted. 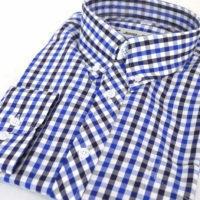 Remember to size up if unsure.